EarthSea Gallery, near Pohara Beach, Golden Bay is on the edge of the Motupipi Estuary en route to the golf course and historic Clifton Reserve. 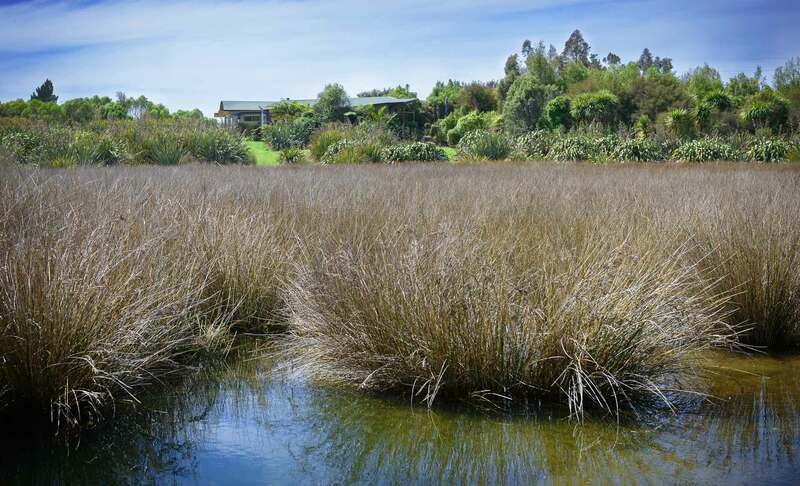 Peter's studio/gallery was built in 2003 and is set in 2 hectares of native gardens and restored wetland plantings. The gallery is open daily 10am - 5pm in the summer months although winter hours may be variable. EarthSea Gallery displays Peter's original paintings, a range of Fine Art Giclée prints, framed and un-framed, and greeting cards. Feel free to linger in Peter's gallery and absorb the perfection and ambiance of his work.